A DittoForm is a precision-carved copy of your body. 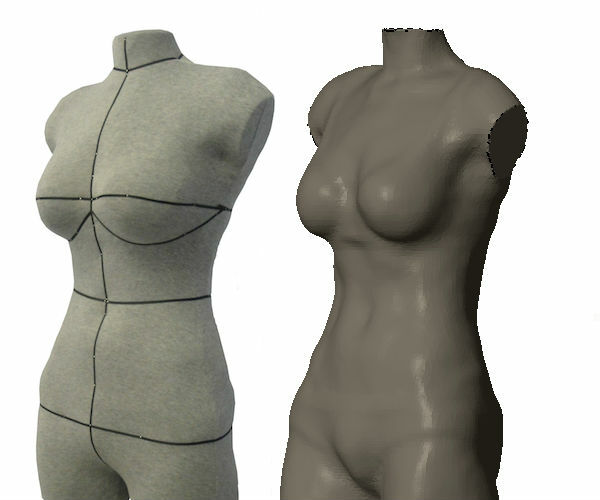 We start with a 3D scan and translate the digital image into a physical figure. Made from a durable, firm, yet flexible foam, your DittoForm will capture significant details like your collarbone, bellybutton, shoulder blades, and more. 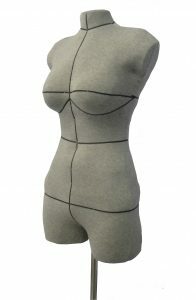 The standard custom cover is matte grey knit with black markings. What makes the DittoForm different from other dress forms? For starters, it’s you. The DittoForm reflects the curve of your back, your posture, your shoulder-slope, and all your beautiful lumps and rolls. This means the form also includes important landmark references for you when fitting clothes or developing patterns. It’s lightweight. Most forms weigh between 7-10 pounds, so they are easy to pick up, move around, or sit next to your sewing machine for company while you work. The foam we use is very durable and very easy to pin. We include a pole attachment and hook so it can be hung from a tension bar (or such). The bottom center includes a support for a pole stand to be inserted between the legs. We know bodies. Our process involves working closely with you to understand your shape and any specific goals you may have. We cross-check the measurements from the scan with hand measurements. We will talk through how the foam is different from a real body and how we will make your DittoForm so you get the best version for your projects. We are constantly innovating and improving. Every body is different and we learn something new from every customer. We make adjustments to our process that improve the design and quality of our product. We are fascinated by the intersection of technology and traditional craft and are pleased that DittoForms have helped so many people. 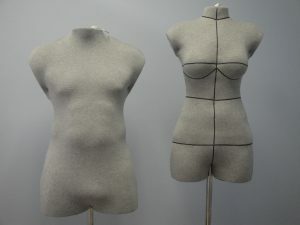 Custom dress forms for men and women made using 3D body scans.